HDFC Bank is one of the largest private sector bank of the country and offers many different types of savings account. You can open a regular saving account with 10,000 MAB with all banking products. 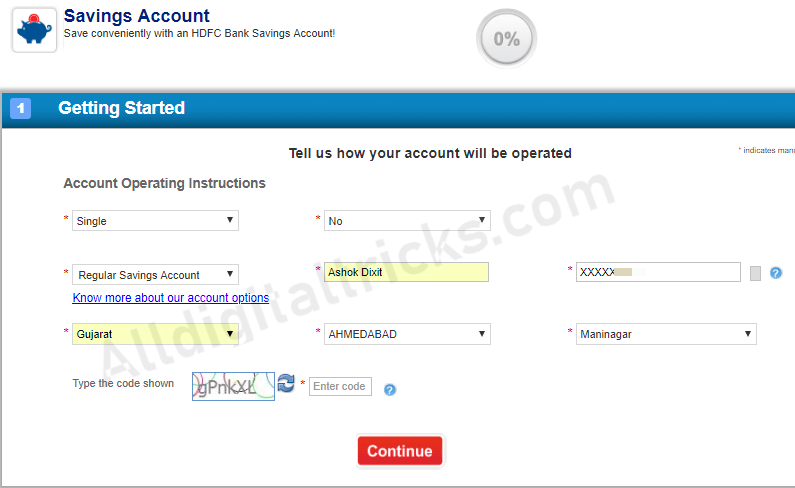 Here we will show you how to apply HDFC saving account online so be ready. (3) Now enter your mobile number. (4) On the next screen, select account type single or joint, select account variant like regular saving account, enter your name, select your state, city and preferred branch. Now click on continue. (5) On the next page, enter your personal details your father name, mother name, PAN number, Aadhaar number, email address and Date of birth. In mailing address, enter your full address. 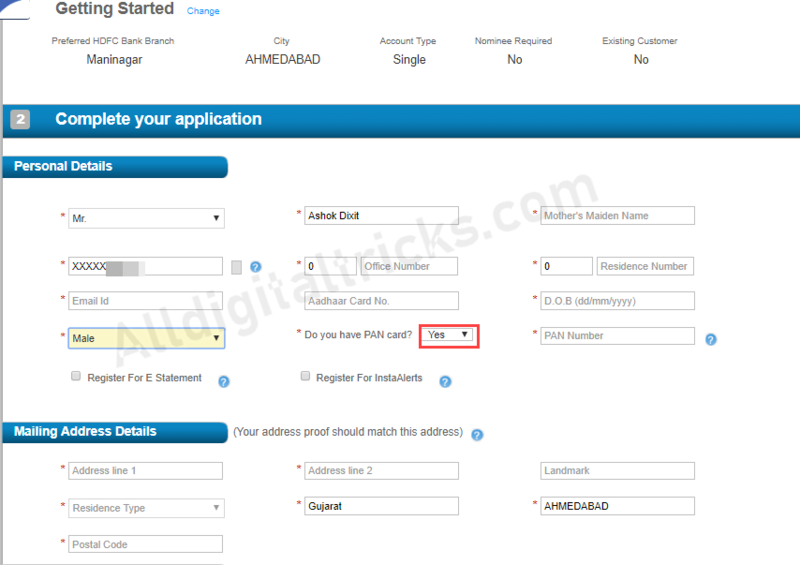 Enter your permanent address, if both addresses are same then select “Permanent address same as mailing address”. 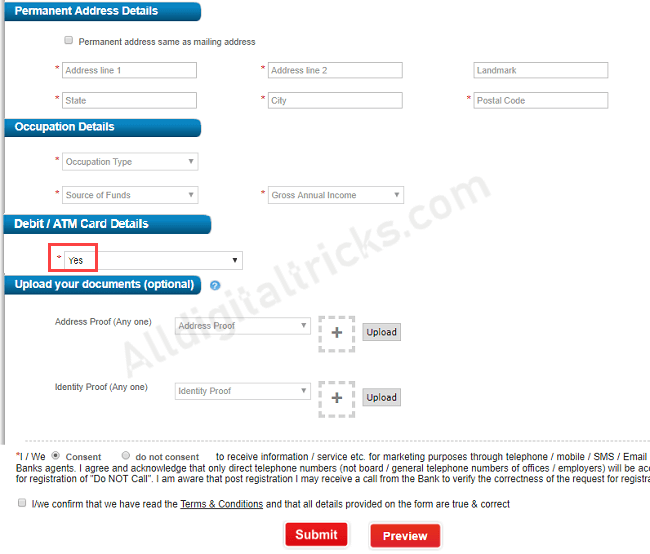 Enter your occupation details, select Yes in ATM Debit card, upload your Address proof and ID proof. Now submit your application. Done! your account opening request submitted successfully. The Bank representative will call you for further assistance. You need to deposit account opening amount through Cheque or Cash. After opening your HDFC account online, you can activate your new Debit card at any HDFC ATM. 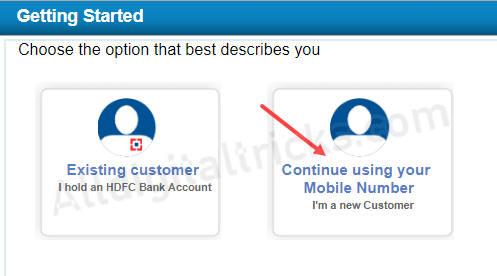 You can also register for HDFC mobile banking and net banking facility to manage account online.